This article is about the 2018 typhoon. For other storms of the same name, see Typhoon Jebi. Typhoon Jebi, known in the Philippines as Typhoon Maymay, was considered to be the strongest typhoon to strike Japan since Typhoon Yancy in 1993. Jebi formed as a tropical depression on August 26, before becoming the twenty-first named storm of the 2018 Pacific typhoon season on August 28. It rapidly intensified into a typhoon on the following day and reached its peak intensity on August 31, after striking the Northern Mariana Islands. Jebi initiated a slow weakening trend on September 2 and made landfall over Shikoku, and then the Kansai region of Japan, as a very strong typhoon on September 4. 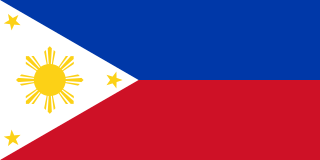 The Philippines, officially the Republic of the Philippines, is an archipelagic country in Southeast Asia. Situated in the western Pacific Ocean, it consists of about 7,641 islands that are categorized broadly under three main geographical divisions from north to south: Luzon, Visayas, and Mindanao. The capital city of the Philippines is Manila and the most populous city is Quezon City, both part of Metro Manila. Bounded by the South China Sea on the west, the Philippine Sea on the east and the Celebes Sea on the southwest, the Philippines shares maritime borders with Taiwan to the north, Vietnam to the west, Palau to the east, and Malaysia and Indonesia to the south. Typhoon Yancy, known in the Philippines as Typhoon Tasing, was one of the costliest and most intense tropical cyclones to strike Japan on record. Yancy was the sixth typhoon of the annual typhoon season and sixth tropical cyclone overall to impact Japan that year. Developing out of an area of disturbed weather in the open northwest Pacific on August 29, 1993, the precursor to Yancy tracked westward and quickly intensified to reach tropical storm strength on August 30. Just two days later, the tropical storm reached typhoon intensity as it recurved towards the northeast. A period of rapid intensification followed, allowing Yancy to quickly reach super typhoon intensity. The strong tropical cyclone reached peak intensity on September 2 with maximum sustained winds of 175 km/h (110 mph). The following day Yancy made its first landfall on Iōjima at nearly the same strength; over the course of the day the typhoon would make three subsequent landfalls on Japanese islands. Land interaction forced the tropical cyclone to weaken, and after its final landfall on Hiroshima Prefecture, Yancy weakened below typhoon intensity. After emerging into the Sea of Japan, Yancy transitioned into an extratropical cyclone; these remnants persisted as they meandered in the sea before dissipating completely on September 7. A low-pressure area formed near the Marshall Islands early on August 25. It remained devoid of a low-level circulation center (LLCC) next day;  however, the system developed further on August 27 and both the Japan Meteorological Agency (JMA) and the Joint Typhoon Warning Center upgraded it to a tropical depression,  based on persistent deep convection wrapping into a consolidating LLCC. Early on August 28, the system was upgraded to a tropical storm, with JMA assigning the storm the international name Jebi. On the August 29, the JMA upgraded the storm to a typhoon, after it developed an eye with a central dense overcast, and underwent rapid intensification. Jebi continued to intensify, becoming the third super typhoon of the season and also the second Category 5-equivalent super typhoon of the season. 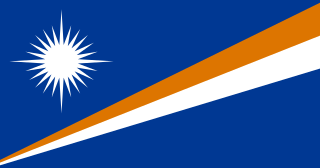 The Marshall Islands, officially the Republic of the Marshall Islands, is an island country and a United States associated state near the equator in the Pacific Ocean, slightly west of the International Date Line. Geographically, the country is part of the larger island group of Micronesia. The country's population of 53,158 people is spread out over 29 coral atolls, comprising 1,156 individual islands and islets. The Japan Meteorological Agency, JMA, is an agency of the Ministry of Land, Infrastructure, Transport and Tourism. It is charged with gathering and providing results for the public in Japan, that are obtained from data based on daily scientific observation and research into natural phenomena in the fields of meteorology, hydrology, seismology and volcanology, among other related scientific fields. Its headquarters is located in Chiyoda, Tokyo. The Joint Typhoon Warning Center (JTWC) is a joint United States Navy – United States Air Force command located in Pearl Harbor, Hawaii. The JTWC is responsible for the issuing of tropical cyclone warnings in the North-West Pacific Ocean, South Pacific Ocean, and Indian Ocean for all branches of the U.S. Department of Defense and other U.S. government agencies. Their warnings are intended for the protection of primarily military ships and aircraft as well as military installations jointly operated with other countries around the world. On September 4, Jebi made its first landfall over the southern part of Tokushima Prefecture at around 12:00 JST (03:00 UTC). Afterward, Jebi crossed Osaka Bay and made its second landfall over Kobe, Hyōgo Prefecture at around 14:00 JST (05:00 UTC),  and then moved over Osaka and Kyoto prefectures, before ultimately emerging into the Sea of Japan shortly after 15:00 JST (06:00 UTC). Simultaneously, a cold front formed southwest of the typhoon, indicating the beginning of an extratropical transition. On September 5, after JTWC issued a final warning at 00:00 JST (15:00 UTC),  Jebi was downgraded to a severe tropical storm at 03:00 JST (18:00 UTC), when it was located near the Shakotan Peninsula of Hokkaido. The storm completely transitioned into a tropical storm-force extratropical cyclone off the coast of Primorsky Krai, Russia, shortly before 10:00 VLAT (09:00 JST, 00:00 UTC). Later, the extratropical cyclone moved inland. The terrain of Khabarovsk Krai contributed to the steadily weakening of the storm as the it moved inland northwestward and then turned northward;  Jebi's extratropical low passed northeast of Ayan early on September 7. Jebi's extratropical remnant continued northward, and then turned northeastward, before dissipating on early September 9 over the Arctic Ocean. Landfall is the event of a storm or waterspout moving over land after being over water. 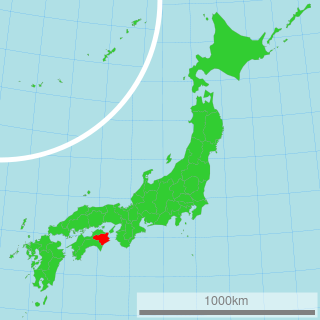 Tokushima Prefecture is a prefecture of Japan located on Shikoku Island. The capital is the city of Tokushima. Japan Standard Time or JST is the standard timezone in Japan, 9 hours ahead of UTC. 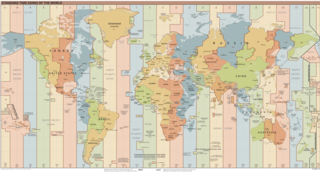 There is no daylight saving time, though its introduction has been debated several times. During World War II, it was often called Tokyo Standard Time. The Ryukyu Islands, also known as the Nansei Islands or the Ryukyu Arc, are a chain of Japanese islands that stretch southwest from Kyushu to Taiwan: the Ōsumi, Tokara, Amami, Okinawa, and Sakishima Islands, with Yonaguni the westernmost. The larger are mostly high islands and the smaller mostly coral. The largest is Okinawa Island. Nan'ao Township is a mountain indigenous township in the southern part of Yilan County, Taiwan. It is the largest township in the county. Yilan County is a county in northeastern Taiwan. Yilan is officially administered as a county of the Republic of China. The 1993 Pacific typhoon season has no official bounds; it ran year-round in 1993, but most tropical cyclones tend to form in the northwestern Pacific Ocean between May and November. These dates conventionally delimit the period of each year when most tropical cyclones form in the northwestern Pacific Ocean. The Kansai region or the Kinki region lies in the southern-central region of Japan's main island Honshū. The region includes the prefectures of Mie, Nara, Wakayama, Kyoto, Osaka, Hyōgo and Shiga, sometimes Fukui, Tokushima and Tottori. While the use of the terms "Kansai" and "Kinki" have changed over history, in most modern contexts the use of the two terms is interchangeable. The urban region of Osaka, Kobe, and Kyoto is the second-most populated in Japan after the Greater Tokyo Area. Kansai International Airport is an international airport located on an artificial island in the middle of Osaka Bay off the Honshu shore, 38 km (24 mi) southwest of Ōsaka Station, located within three municipalities, including Izumisano (north), Sennan (south), and Tajiri (central), in Osaka Prefecture, Japan. Muroto is a city located in Kōchi Prefecture, Japan. The city was founded on March 1, 1951. Wakayama is the capital city of Wakayama Prefecture in the Kansai region of Japan. Chūō-ku is one of 23 wards of Osaka, Japan. It has an area of 8.88 km2, and a population of 60,085. It houses Osaka's financial district, as well as the Osaka Prefecture offices and principal shopping and tourist areas. The 2005 Pacific typhoon season was the least active typhoon season since 2000, featuring only 24 tropical storms, 13 typhoons and three super typhoons. The season ran throughout 2005, though most tropical cyclones typically develop between May and October. The season's first named storm, Kulap, developed on January 15, while the season's last named storm, Bolaven, dissipated on November 20. This timeline documents all of the events of the 2009 Pacific typhoon season which was the period that tropical cyclones formed in the Western Pacific Ocean during 2009, with most of the tropical cyclones forming between May and November. The scope of this article is limited to the Pacific Ocean, north of the equator between 100°E and the International Date Line. Tropical storms that form in the entire Western Pacific basin are assigned a name by the Japan Meteorological Agency. Tropical depressions that form in this basin are given a number with a "W" suffix by the United States' Joint Typhoon Warning Center. In addition, the Philippine Atmospheric, Geophysical and Astronomical Services Administration (PAGASA) assigns names to tropical cyclones that enter or form in the Philippine area of responsibility. These names, however, are not in common use outside of the Philippines. Tropical Storm Etau was the deadliest tropical cyclone to impact Japan since Typhoon Tokage in 2004. Forming on August 8, 2009 from an area of low pressure, the system gradually intensified into a tropical storm. Tracking in a curved path around the edge of a subtropical ridge, Etau continued to intensify as it neared Japan. By August 10, the cyclone reached its peak intensity as a weak tropical storm with winds of 75 km/h and a barometric pressure of 992 hPa (mbar). Shortly after, Etau began to weaken. Increasing wind shear led to the center becoming devoid of convection and the system eventually weakened to a tropical depression on August 13. The remnants of Etau persisted for nearly three days before dissipating early on August 16. The 2011 Pacific typhoon season was a slightly below average season that produced a total of 21 named storms, 8 typhoons, and four super typhoons. This season was much more active than the previous season, although both seasons were below the Pacific typhoon average of 26. The season ran throughout 2011, though most tropical cyclone tend to develop between May and October. The season’s first named storm, Aere, developed on May 7 while the season’s last named storm, Washi dissipated on December 19. The 2013 Pacific typhoon season was the most active Pacific typhoon season since 2004, as well as the deadliest since 1975. It was an above-average season with 31 named storms, 13 typhoons, and five super typhoons. The season's first named storm, Sonamu, developed on January 4 while the season's last named storm, Podul, dissipated on November 15. Most of the first seventeen named storms before mid-September were relatively weak, as only two of them reached the typhoon strength. The 2014 Pacific typhoon season was a slightly below average season, featuring 23 tropical storms, 11 typhoons, and 8 super typhoons. The season's peak months August and September saw minimal activity caused by an unusually strong and a persistent suppressing phase of the Madden–Julian oscillation (MJO). The season ran throughout 2014, though most tropical cyclones typically develop between May and October. The season began with the development of Tropical Storm Lingling on January 18, and ended after Tropical Storm Jangmi which dissipated on January 1 of the next year. The 2015 Pacific typhoon season was a slightly above average season that produced 27 tropical storms, 18 typhoons, and nine super typhoons. The season ran throughout 2015, though most tropical cyclones typically develop between May and November. The season's first named storm, Mekkhala, developed on January 15, while the season's last named storm, Melor, dissipated on December 17. The season saw at least one named tropical system forming in each of every month, the first time since 1965. Similar to the previous season, this season saw a high number of super typhoons. Accumulated cyclone energy (ACE) during 2015 was extremely high, the second highest since the 1970, and the 2015 ACE has been attributed in part to anthropogenic warming. The 2016 Pacific typhoon season had the fifth-latest start for a Pacific typhoon season since reliable records began. It was an average season, with a total of 26 named storms, 13 typhoons, and six super typhoons. The season ran throughout 2016, though typically most tropical cyclones develop between May and October. The season's first named storm, Nepartak, developed on July 3, while the season's last named storm, Nock-ten, dissipated on December 28. The 2017 Pacific typhoon season was a below-average season in terms of Accumulated Cyclone Energy and the number of typhoons and super typhoons, and the first and latest since the 1977 season to not produce a Category 5-equivalent typhoon on the Saffir-Simpson scale. The season produced a total of 27 named storms, 11 typhoons, and only two super typhoons, making it an average season in terms of storm numbers. It was an event in the annual cycle of tropical cyclone formation, in which tropical cyclones form in the western Pacific Ocean. The season runs throughout 2017, though most tropical cyclones typically develop between May and October. The season's first named storm, Muifa, developed on April 25, while the season's last named storm, Tembin, dissipated on December 26. This season also featured the latest occurrence of the first typhoon of the year since 1998, with Noru reaching this intensity on July 23. The 2018 Pacific typhoon season was an above-average season producing 29 storms, 13 typhoons and 7 super typhoons. It was an event in the annual cycle of tropical cyclone formation, in which tropical cyclones form in the western Pacific Ocean. The season ran throughout 2018, though most tropical cyclones typically develop between May and October. The season's first named storm, Bolaven, developed on January 3, while the season's last named storm, Man-yi, dissipated on November 28. The season's first typhoon, Jelawat, reached typhoon status on March 29, and became the first super typhoon of the year on the next day. This timeline documents all of the events of the 2013 Pacific typhoon season. Most of the tropical cyclones formed between May and November. The scope of this article is limited to the Pacific Ocean, north of the equator between 100°E and the International Date Line. Tropical storms that form in the entire Western Pacific basin are assigned a name by the Japan Meteorological Agency. Tropical depressions that form in this basin are given a number with a "W" suffix by the United States' Joint Typhoon Warning Center. In addition, the Philippine Atmospheric, Geophysical and Astronomical Services Administration (PAGASA) assigns names to tropical cyclones that enter or form in the Philippine area of responsibility. These names, however, are not in common use outside of the Philippines. Typhoon Lekima was the second most intense tropical cyclone worldwide in 2013, as well as the twenty-ninth named storm and the eleventh typhoon of the annual typhoon season. It developed into a tropical storm late on October 20. After Lekima intensified into a typhoon and underwent rapid deepening in a very favourable environment on October 22, the system reached peak intensity on the following day. Maintaining its strength for over one day, Lekima began to weaken on October 24, as stronger vertical wind shear and mid-latitude westerlies began to make the typhoon significantly decay. On October 26, Lekima transitioned into an extratropical cyclone east of Japan. Typhoon Neoguri, known in the Philippines as Typhoon Florita, was a large and powerful tropical cyclone which mainly struck Japan in 2014. The eighth named storm and the second typhoon of the annual typhoon season, Neoguri developed into a tropical storm on July 3 and then a typhoon on July 4. It rapidly deepened on July 5, reaching peak intensity late on July 6. Neoguri began to decay on July 7 and passed through Okinawa on July 8 and then making landfall over Kyushu as a severe tropical storm late on July 9. After Neoguri passed through the southern coast of Honshū on July 10, it became extratropical on July 11. Typhoon Vongfong, known in the Philippines as Typhoon Ompong, was the most intense tropical cyclone worldwide in 2014, and struck Japan as a large tropical system. It also indirectly affected the Philippines and Taiwan. Vongfong was the nineteenth named storm and the ninth typhoon of the 2014 Pacific typhoon season. Estimates assess damage from Typhoon Vongfong to have been over $48 million, mainly for the sinking of the Ocean Researcher V. At least 9 people were killed along the path of the typhoon in those countries. Typhoon Malakas, known in the Philippines as Typhoon Gener, was a powerful tropical cyclone which affected Taiwan and Japan in mid September 2016. It was the sixteenth named storm and the sixth typhoon of the annual typhoon season in 2016. Typhoon Noru was the second-longest lasting tropical cyclone of the Northwest Pacific Ocean on record—ranked only behind 1986's Wayne and tied with 1972's Rita—and the second most intense tropical cyclone of the basin in 2017, tied with Talim. Forming as the fifth named storm of the annual typhoon season on July 20, Noru further intensified into the first typhoon of the year on July 23. However, Noru began to interact with nearby Tropical Storm Kulap on July 24, executing a counterclockwise loop southeast of Japan. Weakening to a severe tropical storm on July 28, Noru began to restrengthen as it turned sharply to the west on July 30. Amid favorable conditions, Noru rapidly intensified into the season's first super typhoon, and reached peak intensity with annular characteristics on July 31. In early August, Noru underwent a gradual weakening trend while curving northwestwards and then northwards. After stalling off the Satsunan Islands weakening to a severe tropical storm again on August 5, the system began to accelerate northeastwards towards the Kansai region of Japan, making landfall in Wakayama Prefecture on August 7. Noru became extratropical over the Sea of Japan on August 8, and dissipated one day later. Typhoon Lan, known in the Philippines as Typhoon Paolo, was the third-most intense tropical cyclone worldwide in 2017. A very large storm, Lan was the twenty-first tropical storm and ninth typhoon of the annual typhoon season. It originated from a tropical disturbance that the United States Naval Research Laboratory had begun tracking near Chuuk on October 11. Slowly consolidating, it developed into a tropical storm on October 15, and intensified into a typhoon on October 17. It expanded in size and turned northward on October 18, although the typhoon struggled to intensify for two days. 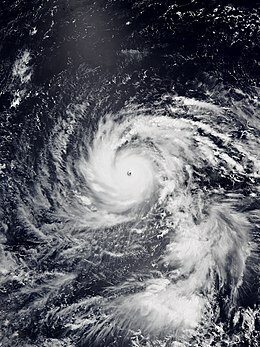 On October 20, Lan grew into a very large typhoon and rapidly intensified, due to favorable conditions, with a large well-defined eye, reaching peak intensity as a "super typhoon" with 1-minute sustained winds of 250 km/h (155 mph) – a high-end Category 4-equivalent storm – late on the same day. Afterwards, encroaching dry air and shear caused the cyclone to begin weakening and turn extratropical, before it struck Japan on October 23 as a weaker typhoon. Later that day, it became fully extratropical before it was absorbed by a larger storm shortly afterwards. Typhoon Maria, known in the Philippines as Typhoon Gardo, was a powerful tropical cyclone that affected Guam, Taiwan, and China. Developing into the eighth named tropical storm of the northwest Pacific Ocean and impacting the Mariana Islands on July 4, Maria strengthened into the fourth typhoon of this season and underwent extremely rapid intensification the next day, due to favorable environmental conditions. The typhoon reached its first peak intensity on July 6; subsequently, Maria weakened due to an eyewall replacement cycle, but it re-intensified and reached its second peak intensity on July 8. Later, it started to gradually weaken due to colder sea surface temperatures. After hitting the Yaeyama Islands and affecting Taiwan on July 10, Maria ultimately made landfall over Fujian, China, early on July 11, before dissipating on the next day. Typhoon Jongdari was a strong, long-lived and erratic tropical cyclone that impacted Japan and East China in late July and early August 2018. Formed as the twelfth named storm of the 2018 typhoon season near Okinotorishima on July 24, Jongdari gradually intensified and developed into the fourth typhoon of the year on July 26. Influenced by an upper-level low and a subtropical ridge, Jongdari executed a rare counter-clockwise southeast of Japan on the next day. At that time, it also reached peak intensity. The typhoon made landfall in Kii Peninsula, over Mie Prefecture of Japan locally early on July 29. Typhoon Trami, known in the Philippines as Typhoon Paeng, was the second typhoon to affect Japan within a month. The twenty-fourth tropical storm and tenth typhoon of the annual typhoon season, Trami developed from a low-pressure area southeast of Guam on September 20. It intensified into a tropical storm on the next day, and intensified into a typhoon on September 22. Trami steadily intensified and reached its peak intensity late on September 24. On the following day, Trami slowed down and drifting slowly northward. It began to weaken due to upwelling. Trami accelerated and turned northeastward on September 29, before it struck Japan on the next day, and became extratropical on October 1. The extratropical remnants persisted for days until dissipated completely on October 8. ↑ McCurry, Justin (September 4, 2018). "Typhoon Jebi: Japan hit by strongest storm of 25 years". The Guardian. Retrieved September 4, 2018. ↑ "250600UTC AUG. 2018 Surface Analysis". Japan Meteorological Agency. August 25, 2018. Archived from the original (PDF) on September 4, 2018. Retrieved September 4, 2018. ↑ "Significant Tropical Weather Advisory for the Western and South Pacific Oceans 260600Z-270600ZAug2018". Joint Typhoon Warning Center. August 26, 2018. Archived from the original on August 26, 2018. Retrieved September 4, 2018. ↑ "WWJP25 RJTD 270000". Japan Meteorological Agency. August 27, 2018. Archived from the original on August 27, 2018. Retrieved September 4, 2018. ↑ "Prognostic Reasoning for Tropical Depression 25W (Twentyfive) Warning Nr 01". Joint Typhoon Warning Center. August 27, 2018. Archived from the original on August 27, 2018. Retrieved September 4, 2018. ↑ 平成３０年　台風第２１号に関する情報　第５２号 (in Japanese). Japan Meteorological Agency. September 4, 2018. Archived from the original on September 4, 2018. Retrieved September 4, 2018. ↑ 平成３０年　台風第２１号に関する情報　第５５号 (in Japanese). Japan Meteorological Agency. September 4, 2018. Archived from the original on September 4, 2018. Retrieved September 4, 2018. ↑ Kitamoto, Asanobu. "Typhoon 201821 (JEBI) - Detailed Track Information". Digital Typhoon. National Institute of Informatics. Retrieved September 4, 2018. ↑ "WWJP25 RJTD 040600". Japan Meteorological Agency. September 4, 2018. Archived from the original on September 6, 2018. Retrieved September 6, 2018. COLD FRONT FROM 32N 130E TO 29N 127E 27N 124E. ↑ "Tropical Storm 25W (Jebi) Warning Nr 034". Joint Typhoon Warning Center. September 4, 2018. Archived from the original on September 4, 2018. Retrieved September 6, 2018. ↑ "WWJP25 RJTD 050000". Japan Meteorological Agency. September 5, 2018. Archived from the original on September 5, 2018. Retrieved September 6, 2018. ↑ "WWJP25 RJTD 050600". Japan Meteorological Agency. September 5, 2018. Archived from the original on September 5, 2018. Retrieved September 9, 2018. ↑ "070000UTC SEP. 2018 Surface Analysis" (PDF). Japan Meteorological Agency. September 7, 2018. Archived from the original (PDF) on September 9, 2018. Retrieved September 9, 2018. ↑ "070600UTC SEP. 2018 Surface Analysis" (PDF). Japan Meteorological Agency. September 7, 2018. Archived from the original (PDF) on September 9, 2018. Retrieved September 9, 2018. ↑ Shen, Rufeng (沈如峰) (September 5, 2018). 宜蘭海上發現浮屍 證實為神秘沙灘失蹤者 (in Chinese). Yilan County, Taiwan: Central News Agency. Archived from the original on September 5, 2018. Retrieved September 4, 2018. ↑ Keoni, Everington (September 4, 2018). "Rogue waves claim 6 lives over 2 days in NE Taiwan". Taiwan News. Archived from the original on September 4, 2018. Retrieved September 4, 2018. ↑ Shen, Rufeng (沈如峰) (September 3, 2018). 南澳神秘沙灘落海意外已釀4死 尚有1失蹤 (in Chinese). Yilan County, Taiwan: Central News Agency. Archived from the original on September 4, 2018. Retrieved September 4, 2018. 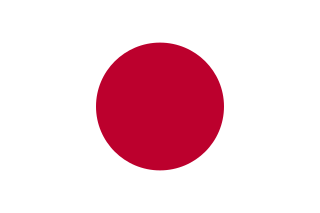 ↑ "Japan deals with Jebi aftermath". NHK. September 5, 2018. Retrieved September 5, 2018. ↑ 特定期間の観測史上1位の値 更新状況（2018年 9月 3日～2018年 9月 5日） (in Japanese). Japan Meteorological Agency. September 6, 2018. Archived from the original on September 9, 2018. Retrieved September 9, 2018. ↑ 特定期間の全国観測値ランキング（2018年 9月 3日～2018年 9月 5日） (in Japanese). Japan Meteorological Agency. September 6, 2018. Archived from the original on September 9, 2018. Retrieved September 9, 2018. ↑ 平成 30 年台風第 21 号による高潮 (PDF) (in Japanese). Japan Meteorological Agency. September 5, 2018. Archived from the original (PDF) on September 9, 2018. Retrieved September 9, 2018. ↑ 平成30年台風第21号による被害状況 (in Japanese). Ministry of Agriculture, Forestry and Fisheries. December 7, 2018. Retrieved December 8, 2018. ↑ "RMS Estimates Insured Losses from Typhoon Jebi Could Reach $5.5 Billion". Insurance Journal. September 14, 2018. Retrieved September 17, 2018. Wikimedia Commons has media related to Typhoon Jebi (2018) .